Heads up! Since this book will be available free of charge for three days beginning – Friday, February 28, 2014, I would really appreciate feedback! Naturally, please do post on line at Amazon what you liked. I would be grateful for privately receiving honest advise. This book was written for anyone facing a cancer diagnosis – “cut, poison and burn” are NOT the only choices! After refusing “the only methods of treating cancer” – (and keeping this story short) I don’t understand why herbal remedies – that have been used for thousands of years in the east – are not considered effective in North America. With this eBook, the intention is with educating, informing, and alive to tell you – this herb works! The above book is now available at Amazon Kindle! 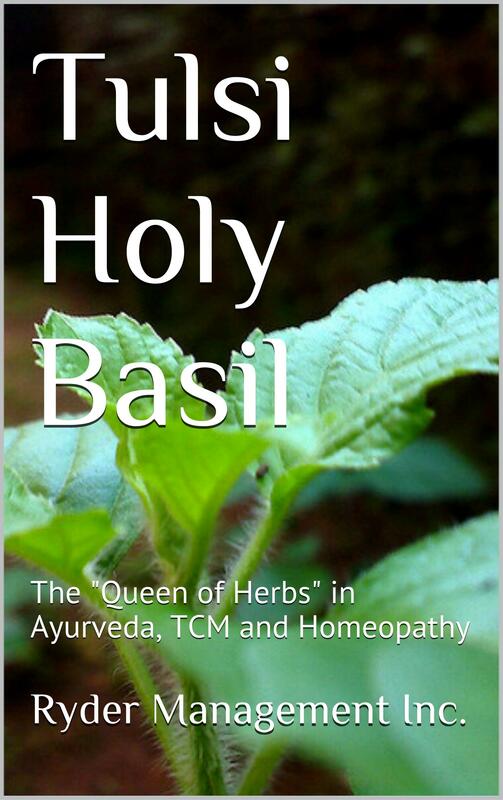 Tulsi Holy Basil has been used in Ayurveda, one of the oldest systems of medicine, for as far back as 1500 BC. The most recent discovery with this herb (besides curing almost all diseases in existence) is that it is found to be able to cleanse water of fluoride! Research scientists at Rajasthan University have discovered that Tylsi can replace some more expensive alternatives to fluoride removal! With the recent admittance by Harvard University that fluoride is bad for health, the news of Tulsi’s latest ability is most welcome.